Just picked this up Yesterday, large ewer. British or continental with no marks. Any ideas. 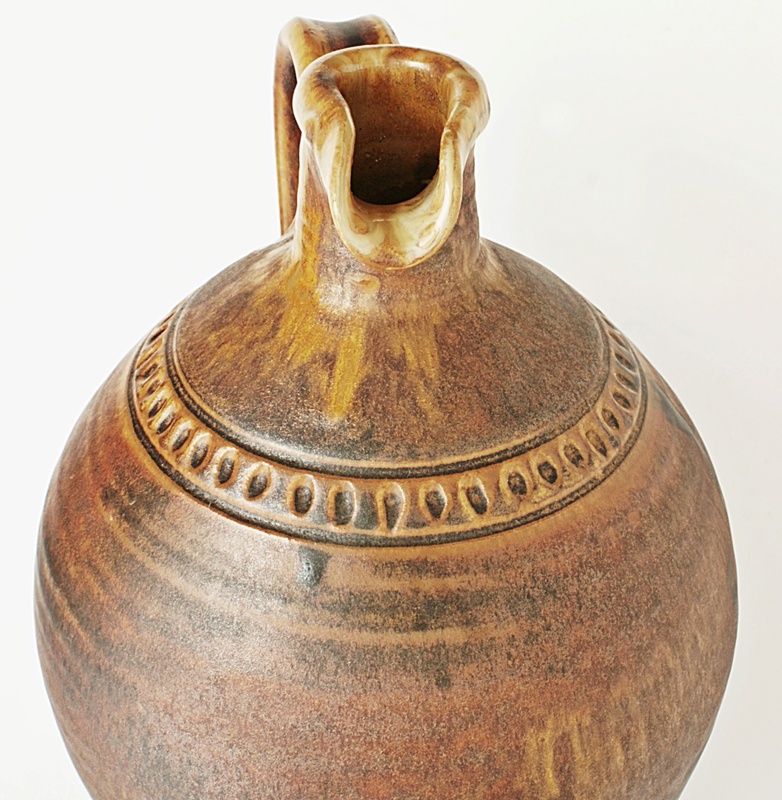 Rustic implies country pottery, items made cheaply for local use. This one is not that. 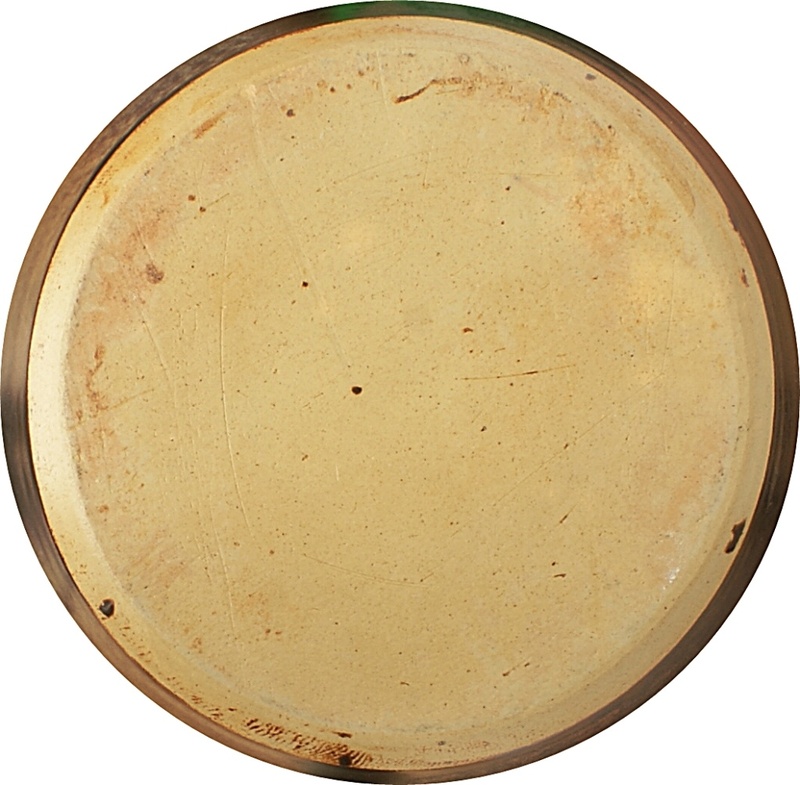 The different glazes, the decoration, the extra finish would definitely imply Art/Studio pottery. 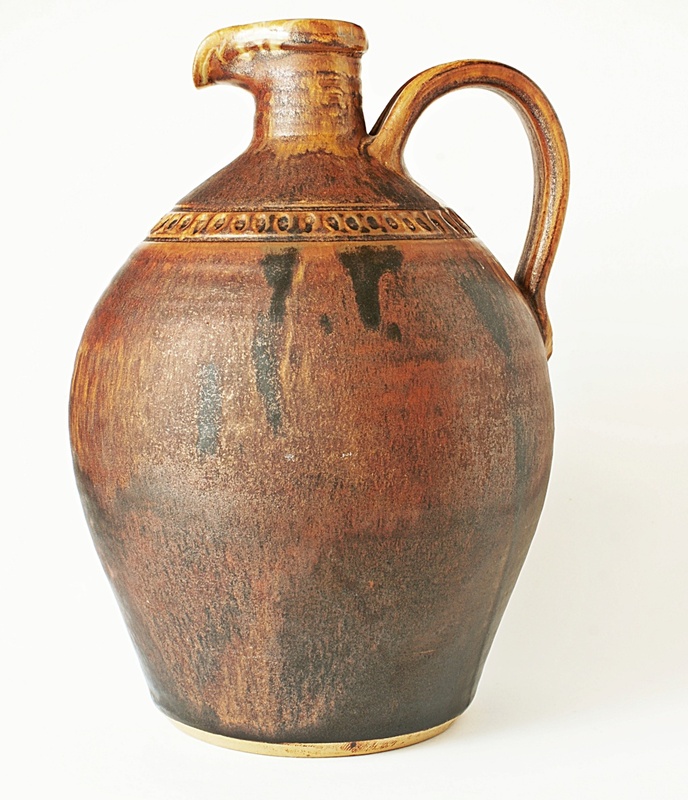 It would be nice to see the jug as a whole. The pouring lip looks a little wide, and the handle looks a little high. 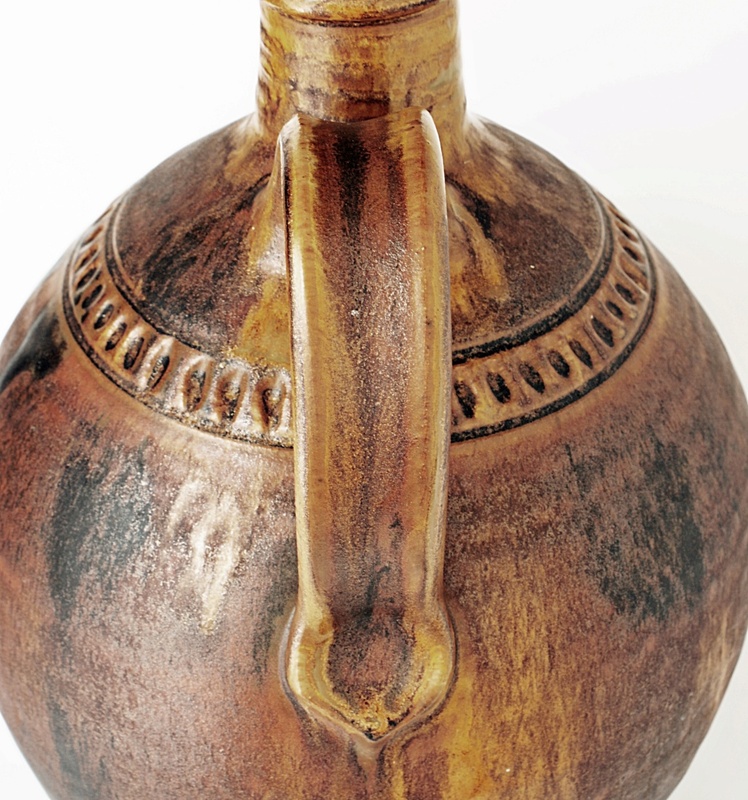 Is a wide bellied jug? And how big is 'large'? Thanks for the reply. 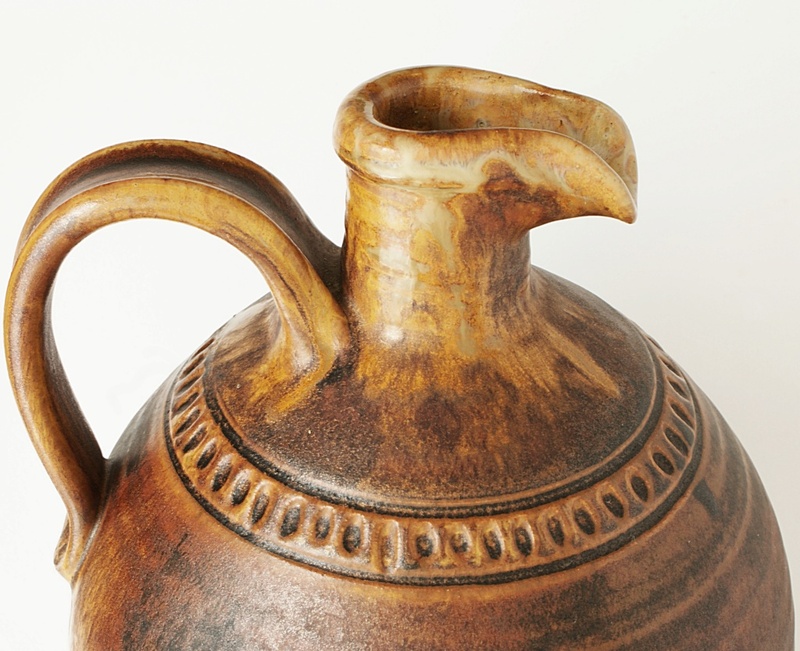 The ewer is 10.5 inches high x 7 inches wide. 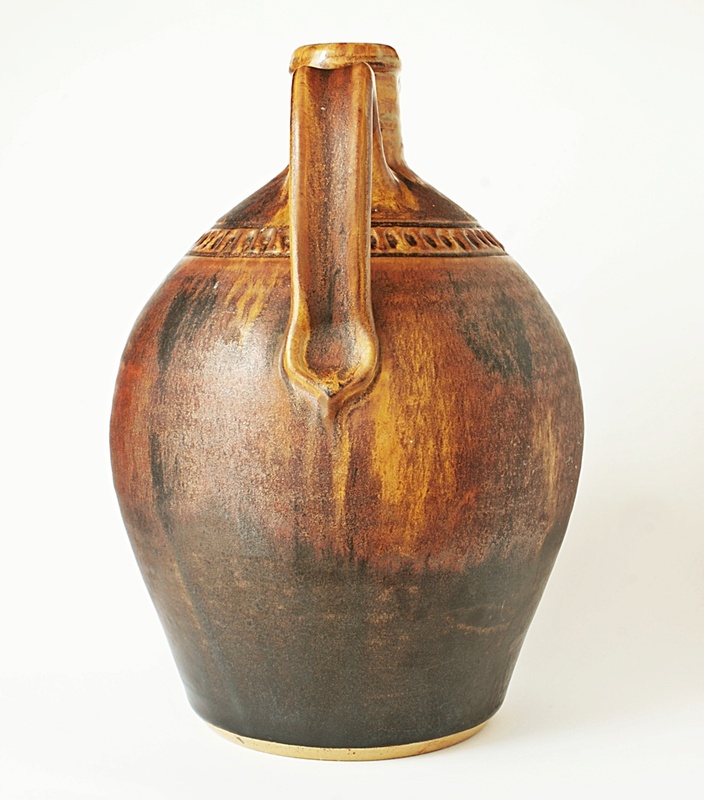 Lovely quality piece though, would love to find more info regarding potter & pottery. I have added another picture. I think rustic is applicable. 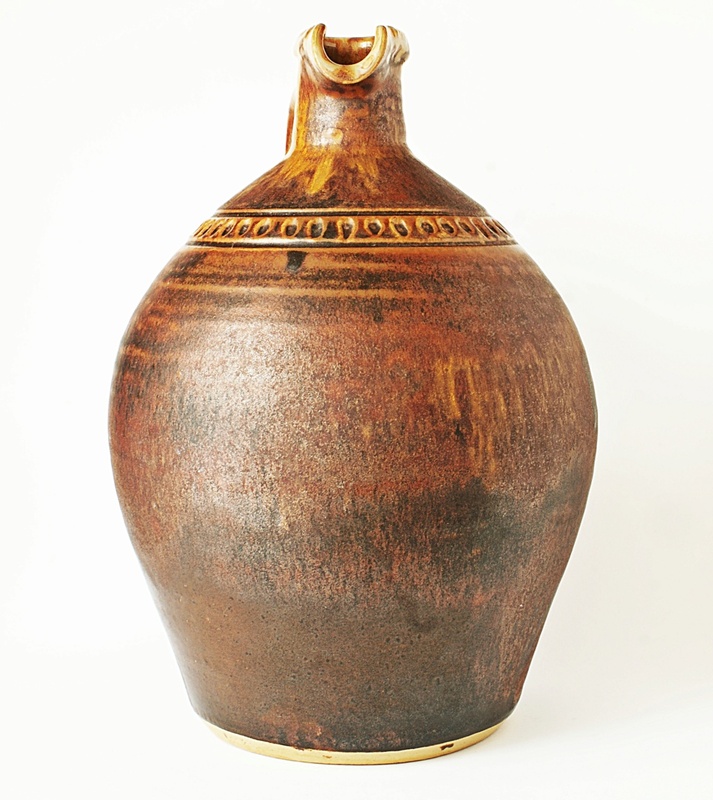 I’d call it Traditional, Provincial or Country pottery; made for use in kitchens, farms etc. Lets have vote! Art Pottery or Country Pottery or both. I do like rustic though. My thoughts too. Wonder what it's worth, more research and it will be listed in my shop at some point.